What does light sound like? This was the exciting question that HUAWEI asked a collaborative team of artists and AI experts to celebrate the release of the HUAWEI Mate 20 Pro. 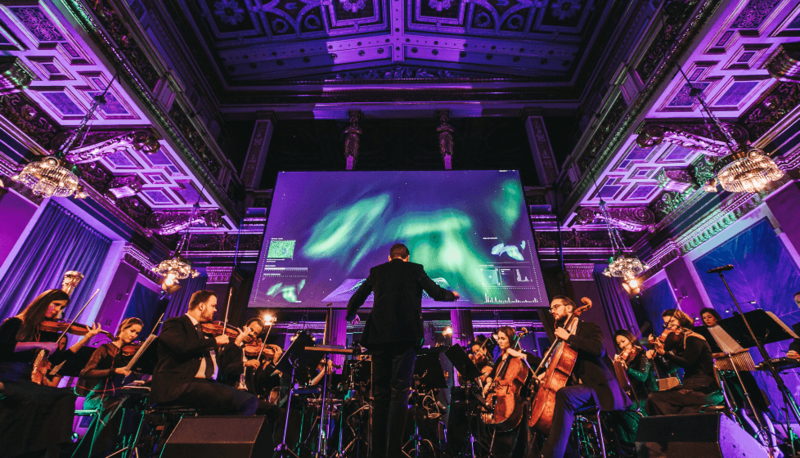 Showcasing the smartphone’s powerful artificial intelligence, they created Sound of Light, an ambitious project to transform the breath-taking Northern Lights into a multi-sensory symphony experience never before seen. Sound of Light was a months-long collaboration that tested the limits of how humans can teach AI to read images and create new pieces of sound. The collaborators were tasked with capturing the Northern Lights of Norway and working with a custom-built AI system that runs on the HUAWEI Mate 20 Pro to recognise their key features and turn them into music elements. These original pieces of sound would then be used to help compose a symphony in collaboration with the HUAWEI Mate 20 Pro. The artistic team’s final challenge would be to create an audio-visual experience that juxtaposed innovations in AI with a never before seen or heard Northern Lights language. In the open fields under the night skies of Tromsø, Norway, Aurora chaser Kjetil Skogli, and award-winning composer, Mark Sayfritz, searched for and filmed the Northern Lights. 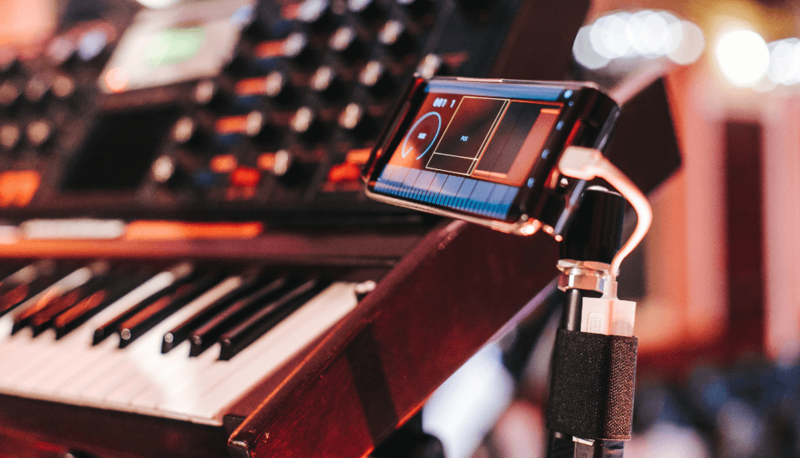 Afterwards, Mark worked with the custom-built AI system that was running on the HUAWEI Mate 20 Pro to create a symphony based on the footage. Once the musical pieces were composed, James Shearman, one of the world’s best conductors and composers, arranged them for an orchestral performance of the Sound of Light symphony in the Brahms Hall of the Musikverein in Vienna. He commented, ‘My role as conductor is to shape, inspire and direct the performance of the symphony. And to, with the help of AI, breathe life into it. To make it feel as if the Northern Lights were actually speaking to us through the music.’ The entire journey used the AI capabilities of the HUAWEI Mate 20 Pro as the inspiration for pushing the boundaries of expectations. 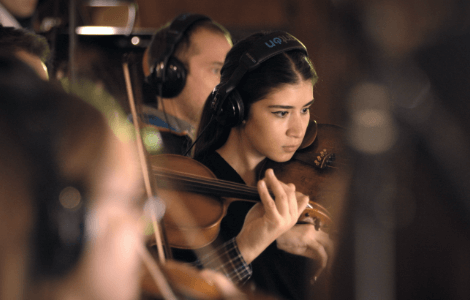 The composer Mark Sayfritz remarked, ‘Introducing artificial intelligence into my music has opened up a whole new range of creative possibilities. I can now feed footage of the Northern Lights into an AI system which analyses things such as colour, size, shape and speed. It then generates variations of my musical phrases, based upon what it sees. So, when the AI recognises a particularly dramatic light show, it can modulate the sounds to reflect that intensity in the composition. I can then incorporate those elements into the symphony. But what do the Northern Lights sound like? This question was answered during the live audio-visual performance which kicked off in the Brahms Hall of the Musikverein in Vienna, Austria, on November 28th. With over 300 spectators in attendance, the incredible sound of the Northern Lights was conducted by James Shearman and performed by the Synchron Stage Orchestra. 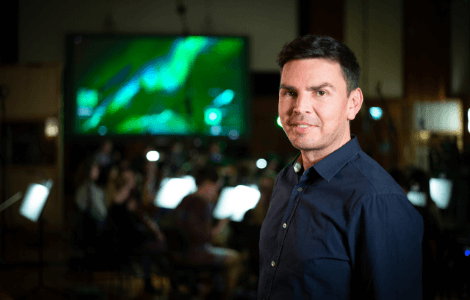 The Orchestra are experienced in performing musical scores for film and it was this ability to connect their musical performance to the motion of the projected visuals that played a huge part in bringing the live event to life. 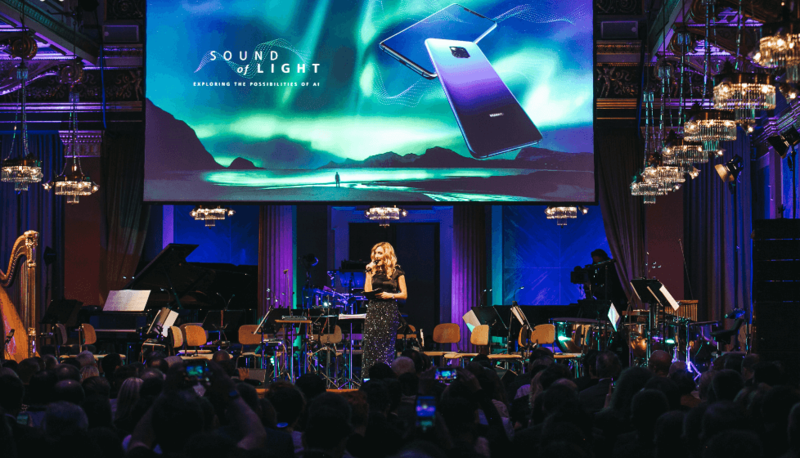 The live event, hosted by Ina Sabitzer, invited the media and other special guests to share in HUAWEI’s delicately curated Sound of Light performance. The evening included a behind-the-scenes genesis film showcasing the journey from sky to stage and culminated in the live performance of the collaborative project.